Welcome, December! - Write. Click. Scrapbook. It is December! And we wanted to create layouts that celebrated things we love. We hope they inspire you to create a page or two, too! 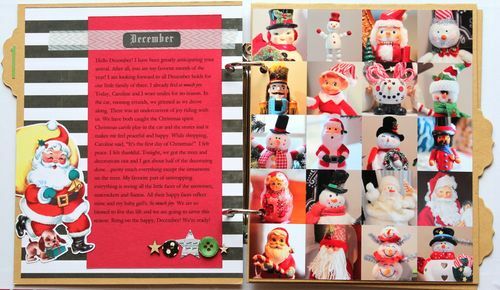 As a reminder the layouts are bigger and the journaling readable in the gallery. Enjoy!! I know a song is not really a product. 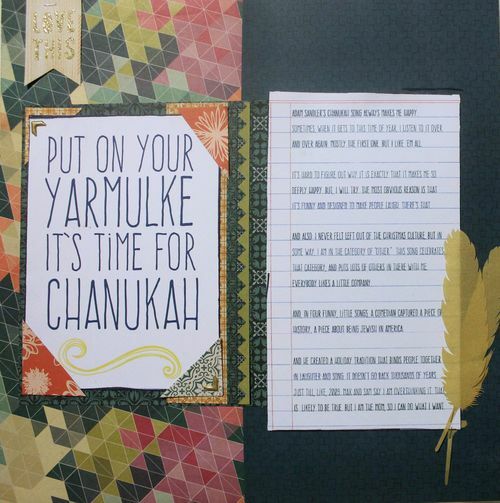 But when I had to think about something that made me really happy on Chanukah, this song kept coming to me. So I just went with it. There is a possibility that I will be by myself this coming weekend, and I am a little giddy at the thought of it. This layout started my December Daily 2014. 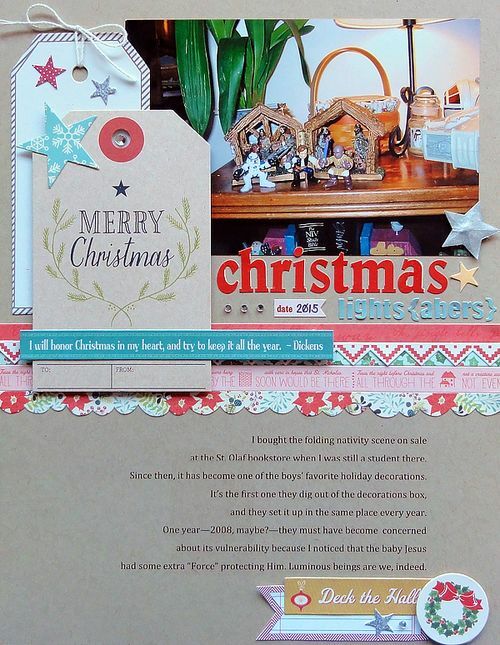 It uses my favorite holiday product of all time - vintage die cuts from Pretty Little Studio! I just ordered 15 more similar to this. 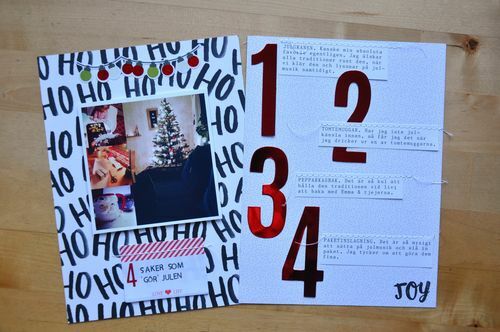 These die cuts make me feel nostalgic for my childhood and days of Christmas past. My favorite illustrations are from the 1940's to 1970's and PLS uses graphics from that era for their products. They just make me so happy!! I am starting my 2015 December Daily today and it will be chock full of these little goodies. Christmas is my favorite! As soon as Christmas is over, I start looking forward to the next Christmas. 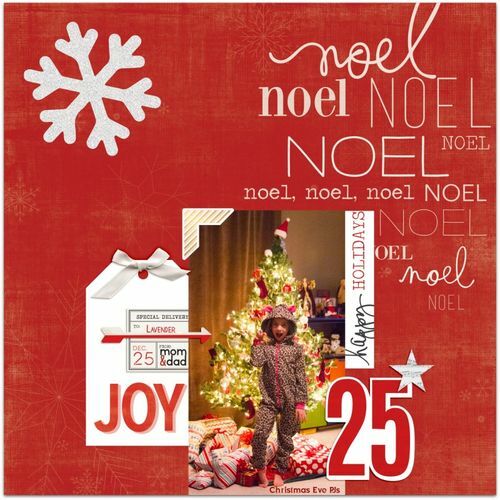 This layout is one of the first ones that will go in my annual December album. This is the third year that is going to be documented in the album. I´ll start a new one next year. In my family I was known to secretly open the presents before Christmas. 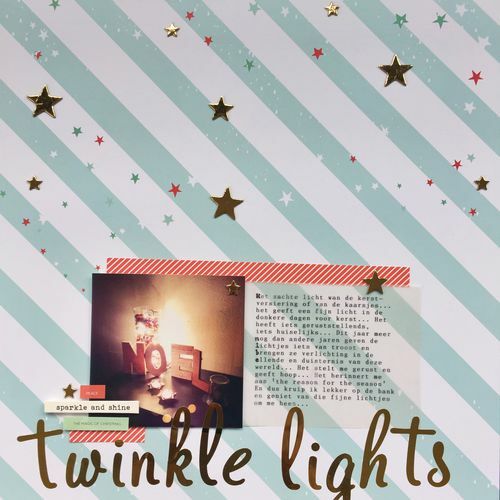 I scrapbooked our family’s favorite holiday decoration, recording one of our favorite holiday photos ever with this decoration, and used one of my favorite scrapbooking supplies—embellishments, particularly die cuts and stickers. I used no patterned paper on this page! The tree skirt we use I made with my grandmother’s help. Calico. I love to do my journaling on vellum when I’m using patterned paper as a background to my layout. It doesn’t break the pattern yet it’s still visible. I absolutely adore December! Lighting up candles in my home, spending evenings on the couch, watching movies and most of all Christmas time… We have a strong family tradition in which everyone prepares a course for Christmas dinner. No one knows what the others will be making, so it’s all a big surprise on Christmas day. It’s so much fun to see how much effort everyone puts into it. Love love love it! This is one of my favorite holiday items: Christmas Eve pjs. Last year was our first year for non-traditional jammies and they were a hit. This year, though, we are segueing back to the more traditional. Shh! Don't tell! That's it! Small but mighty. 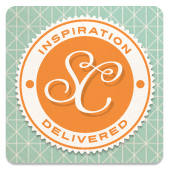 We hope that you love the gallery and find it helpful and inspiring! !